The 6th edition of Bubble New York took place on Sunday, August 3rd to Tuesday, August 5th. A great selection of buyers came to screen the 115 booths filled with amazing products from all categories and origin. Bubble runs twice yearly in New York and London bringing a new generation of kids trade show to the marketplace. The New York show takes place mid-March and early August, to coincide with children’s market week in NY. The London show, launched in 2008, takes place late January and early July, in sync with the European calendar. Each event is carefully conceived as a focused trade show in a wonderful space, where retailers can meet exhibitors from the 360 degrees kid’s world: clothing to toys, shoes, accessories and more. 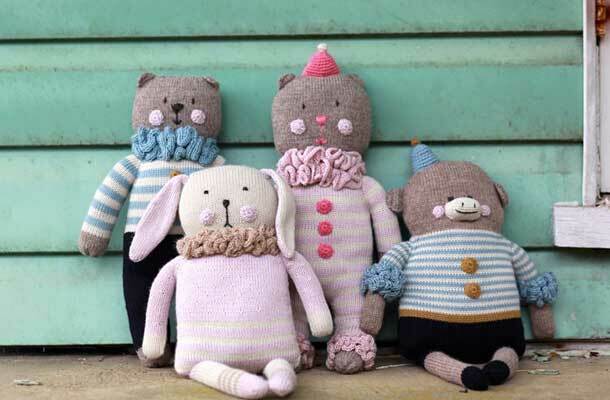 and the little dog laughed specializes in vintage shabby chic clothing for babies from 0-2 years, as well as 100% cotton hand knitted animals. Their timeless pieces look and feel good anywhere. and the little dog laughed had a successful USA launch of the 2008/09 range at Bubble New York. They exhibited their full range with their most popular items including the ‘king of the castle’ and ‘drama queen’ onesies and long sleeve pullovers. The hand embroidered ‘flower garden’ t-shirts and onesies were very popular as well as their signature hoodie with matching long pants. 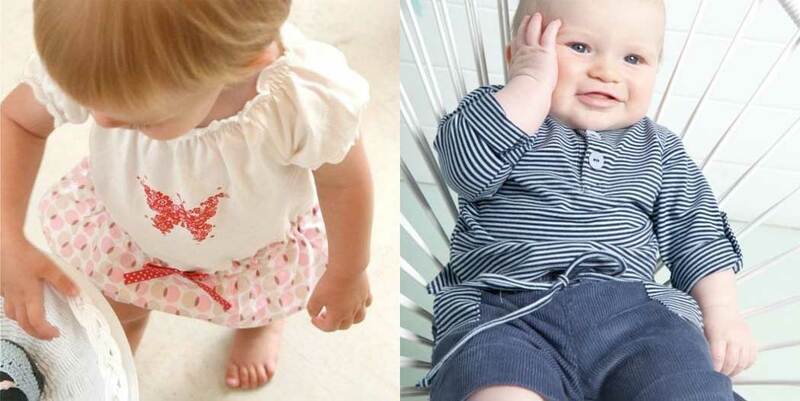 Fournier has designed children’s clothing wholly manufactured in Bolivia, South America since 2003. Fournier relies on the crafty hands of indigenous Bolivian women who carefully hand knit all pieces. Green is the way to go for Fournier designs which have combined social development and environmental awareness as one of the pillars of success. At Bubble Fournier exhibited its S/S 09 collection – which is the most classic of all their collections and includes matching boy and girl outfits. Luxurious silk, linen, and Pima cotton give a timeless classic look. Soft pinks and creams are perfect for Easter. Outfits match with light knit boleros and sweaters. For boys, there are crisp linen Bermudas and shirts with striped hand knit vests and cardigans. Paper Wings was launched to create sophisticated and inspiring clothing for children that mix past, present and future design ideas. Design influences are wonderfully eclectic, with strong links to historical shapes, traditional crafts, and to both vintage and contemporary graphics. Collections are manufactured and most importantly hand finished with the greatest care. Paper Wings is committed to providing premium quality products, utilizing the finest natural fibers. Full bloom roses and casual vintage shapes with bold graphics and delicate prints evoke dreamy summer days in Paper Wings Spring Summer 2009 collection, launched at Bubble New York. 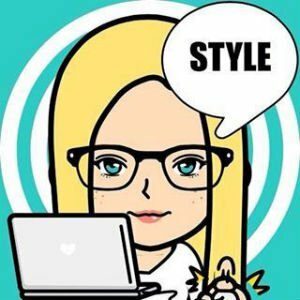 Pink Chicken was started by Stacey Fraser, a long-time designer within the fashion industry having spent over 15 years at high profile companies such as Old Navy, Tommy Hilfiger, Ralph Lauren and babyGap. After taking a hiatus to care for her two young daughters, Stacey could not get designing out of her system and began making dresses for them. She soon realized that there was a niche for classic silhouettes in beautiful fabrics but with a bohemian feel. Pink Chicken was born and today offers an array of vintage-inspired dresses in classic silhouettes but with a retro feel. Red Thread Design, a small Toronto clothing studio, made its debut at Bubble New York, following three successful years in the Canadian market. The line of children’s clothing is best known for its inventive use of color and prints, and simple, flexible dress designs. The line’s bestseller is the one-size “Caterpillar Dress,” which transitions from a dress on a baby or toddler to a cute swing top on a preschooler. 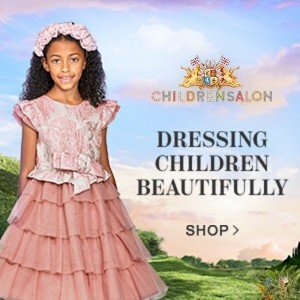 The dress fits most children from about 12 months to 4 years of age. The dress layers beautifully so it can be worn year-round. 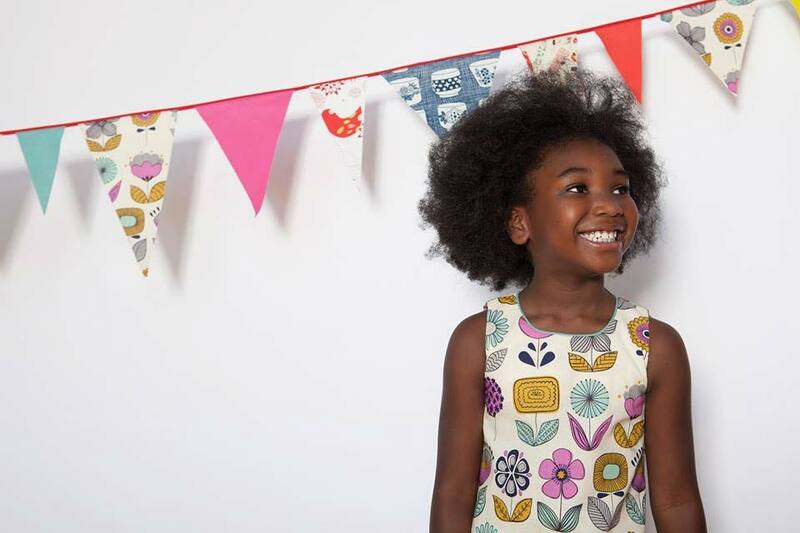 “So many children’s clothes have such a narrow window of opportunity to be worn and enjoyed,” says designer Devorah Miller. “This dress is the antithesis of that. It can be worn on its own or with jeans, shorts, leggings, year-round, shared by sisters and handed down.” The Caterpillar Dress has developed a following in Toronto, where some customers collect the dresses as wardrobe staples. 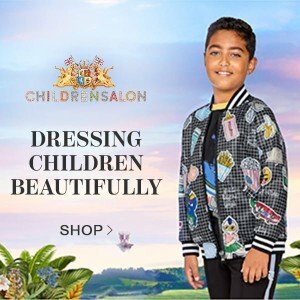 The Sophie Catalou line is designed by stylists in Barcelona who create this unique imaginative and cosmopolitan look for little ones. 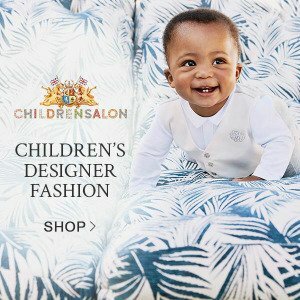 Their coordinated sportswear and casual dress collection are divided into two labels: Sophie Catalou Baby (0-12 months) and Girls (12 months – 12 years) and Kartoon Kataloons Boys (12 months to 6 years). Both collections feature premium cotton and fabrications and knits, innovative print, dyeing and finishing technique. Umi Shoes exhibited their Spring/Summer 2009 Collection at Bubble New York — a colorful assortment of the most comfortable children’s shoes. Front to back, side to side, and top to bottom, Umi Children’s Shoes are handcrafted for the health and comfort of little feet. Umi shoes are created to the highest of quality and environmental standards, gaining the approval of parents and Mother Nature alike. Drum-dyed leathers are vibrantly colored and extremely durable. Every shoe is tested for abrasions and general wearability. What’s more, they’re made from environmentally friendly materials and sold in packaging made from recycled goods. Read more about the Bubble London Kids Trade Show.